Eurotech Racing has announced that Jack Goff will be joining the squad for the 2017 Dunlop MSA British Touring Car Championship. 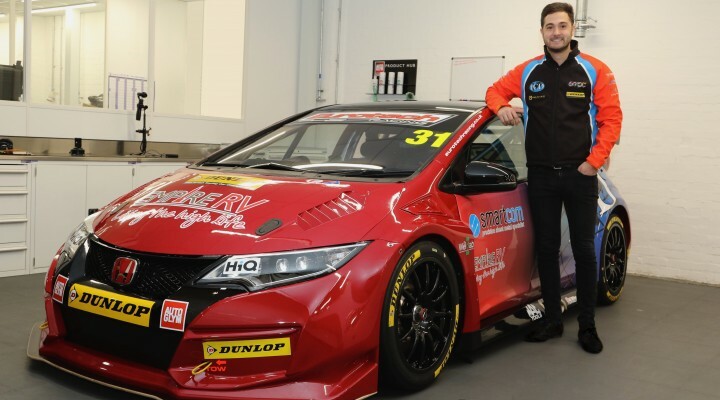 Goff will partner Jeff Smith in the team’s second Honda Civic Type R.
“We are delighted to have been able to put together a deal with Jack,” said Eurotech Team Principal Jeff Smith. “We have been in talks with many drivers over the winter which has been a long process, but we wanted to get it right. Our aim was always to put a talented young gun in to the second seat which we have undoubtedly managed to achieve with Jack. Goff said, “This is a really exciting opportunity for both myself and all of my loyal sponsors. I have been fortunate to have raced with many successful teams during my short time in the BTCC and having met the Eurotech Racing team and visited it’s very impressive facilities, it is already very clear they have all the personnel and resources to give me a great chance to be fighting for championship honours in 2017. “The car is a proven winner, with Gordon having won the past two championships and with the Swindon engine I think we have a very competitive package for the 2017 season. “I am under no illusions that the championship is going to be as competitive as ever this season and there is going to be a large number of drivers fighting for the trophy, come Brands Hatch in October, we just need to make sure we are mathematically in contention.